Ad Astra Academy is a unique education, outreach, and development project that brings the excitement of exploration to students in some of the most underserved regions of the world. Curiosity is one of the most essential of human traits - a constant need to understand the world around us through uncertain tinkering and wandering journeys. We exploit this hard-wired trait to promote self-directed and inquiry-based learning, tapping into students' natural curiosity to re-calibrate their relationship with the unknown and unlock their boundless potential. Ad Astra programs are customized for each community we work with, and can range from several hours to several months. In all cases, participants take part in a dynamic curriculum that develops evidence-based reasoning skills and capitalizes on each student's instinct to explore. We foster a growth mindset, and build upon the benefits of playful, project-based, iterative learning. 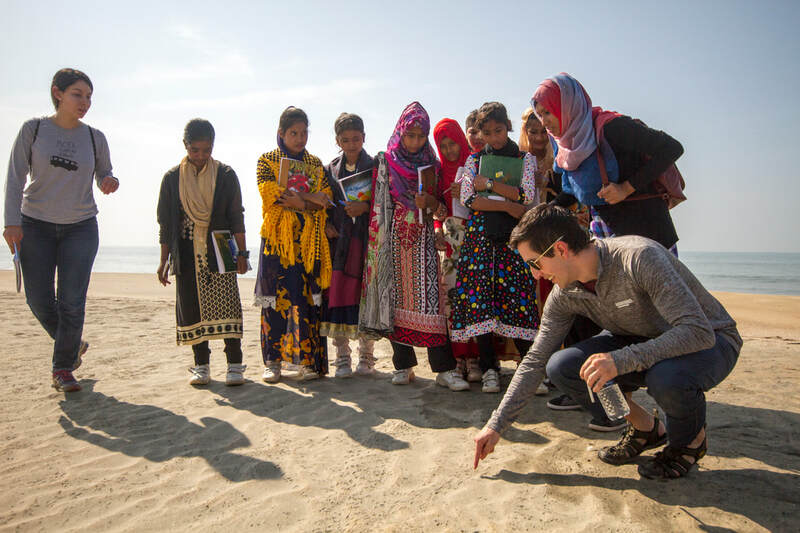 Customized curricula feature field trips and interactive lessons on environmental, space, and life sciences. Ultimately, students join leading scientists from around the world on the front lines of exploration, choosing targets on Mars for imaging by a NASA spacecraft, or working with deep-sea explorers to operate robots thousands of meters beneath the waves. By revealing never-before-seen portions of the martian surface or the seafloor, students contribute to cutting-edge science and gain a dramatic demonstration of their potential to create new knowledge. Armed with empirical skills and a sense of empowerment, graduates will embark on a lifelong journey of discovery that will benefit their home communities in unpredictable ways. To consolidate momentum from the punctuated Ad Astra program, we work closely with local teachers and scientists to ensure that students' newfound passion translates into real educational and professional advancement. Please check out the rest of this site to learn more about the [Ad Astra Academy team], [past projects], [scientific results], and the [underlying educational philosophy]. To help make this life-changing adventure a reality for future classes, please [contribute] to the cause, and [get in touch] with any booking requests or questions.